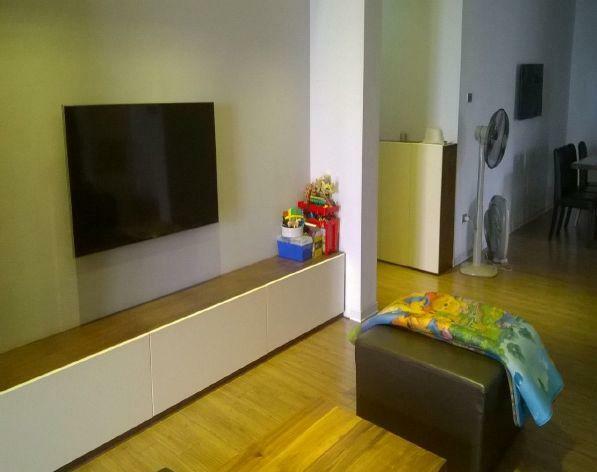 A nice serviced apartment for rent in Lang Ha Street, Dong Da District, Ha Noi. The construction area is 50 sqm with 1 bedroom with its own bathroom, living room and kitchen. Fully furnished : soft sofa set, LCD TV, dining table and chairs, large beds , wardrobes. Facilities include air conditioners, washing machine, fridge, wardrobe, internet connection, cable television, 24/24 hour security, surrounding quiet.